Through the years, Jacob has spent quite a bit of time with his grandfather. He remembers all the stories the old man used to tell; some of them complete with an assortment of odd photographs. The stories involved unusual children with strange abilities. When Jacob was younger, the stories were like fairy tales filled with mystery and intrigue. As time passed, Jacob just viewed them as the ravings of a lonely old man. When Jacob's grandfather was found dead in the woods behind his home, the bizarre circumstances have everyone wondering. It appears that the old man suffered from some sort of animal attack. After discovering his grandfather's mutilated body, Jacob believes he sees the creature responsible for the man's death. The glimpse he gets of the terrible creature results in recurring nightmares and withdrawal. Jacob's parents insist that he begin therapy with Dr. Golan. As Jacob shares his memories of Grandpa Portman and his odd stories, Dr. Golan suggests a trip to the island Jacob's grandfather called home. Raised in an orphanage there, he left to become a soldier in WW II. The doctor believes Jacob might find someone there who knew his grandfather and perhaps he could find some sort of closure that would bring relief from the nightmares and allow him to move on. Jacob and his father arrive on the tiny island off the coast of Wales, and the real adventure begins. While his father occupies himself with bird watching, Jacob explores the bombed-out orphanage where he discovers the true history of his grandfather's old photographs. He learns that the people in those strange, old photos really existed, and that the oddities pictured were indeed accurate representations of these peculiar children. Esme, Tess, Rowie, and Marcy are typical high school juniors in most areas. They are good students with their eyes set on top-notch colleges. For the most part they don't give their parents any grief, and they keep their noses clean in school. However, they do have one passion and when school authorities declare that their one passion is no longer to be allowed at school, the girls rebel. Holyhill High School is adding a new policy to its school conduct code, and each student is required to sign it. The new policy outlaws hip-hop music and any apparrel﻿, or behavior associated with it. This has Esme and her friends seething. The girls may not look like it, but they are hip-hop rappers to the core. They call themselves Sister Mischief, and they are good. Tess is the vocalist, Marcy provides the beat, and Esme and Rowie work together to create the rhymes. Hip-hop lets them express who they are. Tess used to hang out with the conservative Christian majority who populate the school district, but she stepped over to the hip-hop side when she began doubting her faith. Marcy's rhythm comes from her involvement in the high school band's drumline. Rowie is the daughter of two Indian doctors, and Esme lives with her artistic father and considers herself a true word nerd and a lesbian. When news of the new anti-hip-hop policy reaches the girls, they all agree they will not be signing it. The real plan for rebellion comes when they are called to the principal's office about their refusal to sign the new code of conduct. As spokeswoman of the group, Esme announces they are starting a new school club devoted to the study of hip-hop music and the possibility of using it to create a positive view of sexuality especially regarding women. The principal agrees to a deal allowing them to hold their meetings in a location just off the school campus in return for their signatures on the new policy. It is obvious that the school administration is not supportive of the girls' new group, and when they become a target for harassment, they are determined to retaliate. With the help of their growing membership and the behind-the-scenes support of a possible staff advisor, they are out to change the attitude of one of the most highly regarded high schools in the country. In addition to their quest to have hip-hop recognized as an important musical genre, the girls are also learning very personal lessons about love, loyalty, and understanding. When Esme reveals to her friends that she is a lesbian, the relationships in the group go through changes that threaten the long-time friendships. Author Laura Goode uses creative language and intense emotions to grab her readers and involve them in the girls' passion for their cause. The stresses of school, family issues, and self-discovery make it a book teens will surely relate to. Growing up on a ﻿Virginia plantation in the mid-1800s, slavery has been part of Emma Simpson's entire life. Now she and her mother are working tirelessly to keep the place running in the absence of her father who is somewhere to the south fighting the Yankees. Emma hears constant reports describing the ignorant Yankees and their disapproval of holding the black people against their will. The slaves she's known on her father's plantation seem happy enough. She watches the women gladly helping her mother in the garden and in the main house. Even the men who work in the fields and drive the wagons appear content, and she knows none of them have been mistreated like some she's heard about. Sporadic letters from Emma's father promise the South will win the war quickly, but as time passes more of their neighbors and friends are sending men off to fight. When Christmas of 1863 passes without a celebration, Emma realizes hopes of a short war might be wishful thinking. Aunt Caroline, Cousin Rachel, and Baby Elizabeth stay on into the New Year. Their company is welcome, especially when Emma's mother becomes ill.
Emma's diary over the next year describes the rapid and devastating changes as the war drags on. Although their slaves remain loyal, keeping the plantation running becomes more and more difficult especially as her mother's health deteriorates. Word arrives almost daily of local men and boys losing their lives on the battlefield as the Yankees come closer every day. Emma writes of her mother's death and sickness that threatens neighbors and friends. She describes enemy troops ransacking plantation homes destroying prized possessions and taking food and livestock with no regard for the remaining women and children. Emma tries to remain hopeful despite the constant worry that her father and the young man she loves might not return alive. Author Barry Denenberg gives readers a view of the Civil War through the eyes of a young girl from the South. Whatever one believes about the intent and purpose behind this historical time, Denenberg shows the toll it took on the lives of those who struggled to hold on while the war raged around them. Jesse Christopher is used to moving around. His father works with horses, and relocation due to changing jobs is something Jesse has learned to take in stride. This move just before the start of his senior year is proving to be a bit different. Usually a loner, Jesse has been spending the first few weeks in his new neighborhood at a local park shooting baskets. His dad has always encouraged his interest in basketball, but moving so often normally prevents him from becoming part of any organized team. That hasn't diminished Jesse's talent though. With a goal of shooting at least 250 shots a day, he is pretty amazing on the court and word gets out that there's a new kid in town. When the coach at the county high school hears about Jesse, he makes a point to stop by and have a chat with the young player. Living where Jesse currently is requires him to attend the city high school, but when the coach sees Jesse's skills, he suggests the family check out housing outside the city so Jesse can attend the county school. With a little help from the assistant coach's wife, Jesse's parents find a house to rent just a mile from his father's new job. Jesse's senior year begins. He is not only the new kid in school but also the new kid on an already excellent basketball team. The team fell just short of the state championship last year, and with all the starters returning, they have big hopes for the championship this year. 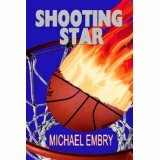 The players are happy to see Jesse's shooting skills, but welcoming him as part of the team doesn't please everyone. The coach will have his work cut out for him as he tries to make Jesse a part of the team. Jesse is facing other challenges as well. Being Hispanic and having his father work on a farm, gives the perception of the family as migrant workers or illegal immigrants. Unfortunately, this means Jesse is not welcome by everyone in the county school district. Even a few of the teachers give Jesse a hard time. Another complication develops when Jesse's father suffers a heart attack. It is a minor attack, but still sidetracks Jesse's concentration on the court and in the classroom. A great big thank you to author Lisa McMann's publisher for providing me with this ARC. THE UNWANTEDS is due out August 30, and you won't want to miss it! The setting is the future in a place called Quill. Life there is not easy, especially if it is decided that you are an Unwanted. At the age of thirteen it is determined that each citizen is in one of the following groups - Wanteds, Necessaries, or Unwanteds. The Wanteds are a privileged group given the opportunity for higher education and positions of power in society. The Necessaries are just that; they provide the necessary services required in daily life. The Unwanteds are sent to the Death Farm and exterminated. Alex and Aaron are identical twins turning thirteen. They already know their fates. Aaron will stay in Quill and become part of the Quillitary and most likely move up the ranks to become a powerful leader. As a young boy, Alex showed creative tendencies when he was caught drawing in the dirt with a chicken bone. Creativity is not valued in Quill which means all those with artistic talents are classified as Unwanteds. The departure of the Unwanteds creates barely a ripple in the lives of those left behind in Quill. Alex's parents and brother almost seem annoyed during the brief farewell required when Alex leaves for the Death Farm. He joins the others headed toward their uncertain end with only a hope that death will come quickly and painlessly. Alex and the others soon find that there is nothing to fear. Upon their arrival, they are welcomed by a mysterious magician named Mr. Today and countless other magical creatures. The world they have entered is called Artime, and it is filled with color and beauty beyond their wildest dreams. It is immediately obvious that life in Artime is all about living and enjoying the creative pursuits they were denied in Quill. After a brief introduction and orientation about the rules and requirements of Artime, Alex and his fellow Unwanteds begin to explore this amazing world. In addition to learning about art, music, and theater, they develop their own magical talents. They are free to roam and appreciate all Artime has to offer, but as Alex settles in he learns there is a definite separation between Quill and Artime. No one in Quill must know about the Unwanteds who escaped extermination. Contact with family and friends would threaten this wonderful world's very survival. After over two months and over 2900 miles, Remember Whipple and her family arrive in the New World with the rest of the passengers and crew aboard the famed Mayflower. The Whipple family is part of a religious group known as the Saints that left Holland to find religious freedom in this far away place. The Mayflower first came ashore off Cape Cod. Women and children were left on the ship while the men explored. It was determined that the area was not their true destination, and they set sail for a neighboring region. The Pilgrims finally settled in a place Remember refers to as Plimoth. At the start of the voyage, Remember's mother gives her a handmade diary and encourages her young daughter to record the events of the journey. What follows is a fascinating account of the treacherous trip across the Atlantic. The sea voyage was extremely uncomfortable and deadly. Many passengers didn't live to set foot in the New World. Remember was one of the lucky few whose entire family survived the journey. Once in the New World the settlers were faced with even greater challenges. They arrived at the start of winter so sickness continued to decrease their numbers, and the shortage of food presented further problems. Although, Remember writes of being excited to see and meet the Indians, the men of the group prepared to deal with a possible unfriendly welcome from the natives. Author Kathryn Lasky paints an incredible picture of these brave pioneers. She describes the investors who gambled that the pilgrims would make the voyage, create a settlement, and then produce products that would be returned by ship to repay their investment. Lasky turns this well-known story into a suspenseful adventure told by a courageous, young girl. A JOURNEY TO THE NEW WORLD is part of the Dear American series. Although I'm not a sports-minded person in the least, I do enjoy reading YA sports fiction. One of my favorite authors is Carl Deuker. Click here to read a review of one of his best, PAYBACK TIME. I happen to have an extra copy of PAYBACK TIME so I'm putting it up for grabs. All you lucky readers have to do is fill out the form below, and it could be yours. *Deadline to enter is midnight July 31. One would think high school soccer star Jake Martin would be focused on the game, his teammates, and maybe scoring with one the team's adoring female fans. Those aren't the controlling forces in Jake's life. Instead, he is controlled by his obsession with time and more specifically whether he can translate time into prime numbers. Jake suffers from the condition known as OCD - Obsessive Compulsive Disorder. Most likely triggered by a traumatic childhood experience involving his younger sister and his mentally unstable mother, Jake feels a compulsive need to find order in his days by constantly checking the time and making mathematical equations that equal only prime numbers. Beginning with his first waking moment, Jake is compelled to follow a set routine from the time he leaves his bed, showers, dresses, eats breakfast, and leaves the house. If any part of that routine is disrupted, the urge to repeat the process is debilitating. He hides his secret well, but those closest to him are beginning to suspect something is wrong. Jake tries to focus on keeping his life on track. He knows that his father depends on him to watch over his younger sister. Jake's mother isn't able to hold down a job because of a mysterious illness keeps her shut up in his parents' room. Those rare occasions when she does attempt to simple take a drive or run an errand, the result is a total breakdown when she claims to have mistakenly forgotten to pay for merchandise or accidentally struck a cyclist on her drive home. No matter how much family members try to convince her that she hasn't committed any such crime, she insists on returning to the scene or calling the police to turn herself in. Each episode ends with her seeking refuge in the bedroom which leaves Jake and his sister to fend for themselves. Afraid that his own compulsions are related to his mother's emotional instability, Jake forces himself to be "normal." Playing soccer gives him a chance to put aside his obsessive behavior, and he is truly an exceptional player being scouted by numerous college programs. About to play in his third state championship, Jake's chronic problem with tardiness could jeopardize the team's performance. His compulsions have so often delayed his arrival to school and classes, that one more tardy will have him suspended from the team just before the final game. Pressure from the school, teammates, and his father just add to the emotional stress Jake faces every day. I had the extreme privilege of being invited to the vacation condo of author Lisa McMann. She invited Michigan teacher and librarian supporters to spend the afternoon and have dinner with her while she vacationed along Lake Michigan. I enjoyed excellent conversation and met some wonderful new reader friends. Lisa's newest book comes out on 8/30. It's titled THE UNWANTEDS and is one I'm excited to read. The cover quote promises it is "The Hunger Games meets Harry Potter." Sounds fun!! 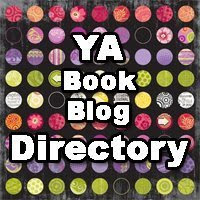 DEAD TO YOU is another book Lisa has coming out in February 2012. Plus, she's working on another new one for spring of 2013. YEA! Fans of the WIMPY KID series will want to get their hands on this one. It focuses on the experiences of Rafe Khatchadorian as he enters life in middle school. Rafe's life is not going well on many levels. He has only one friend, Leo, and that friendship is a bit odd to say the least. Home life for Rafe includes a mother working double shifts, an annoying little sister, and an even more annoying deadbeat almost step dad. The prospect of enter middle school as a less than popular, less than stellar student has Rafe seriously concerned. With the behind the scenes help of his friend Leo, Rafe devises a plan to help him cope with the challenges of the upcoming year. He creates a survival-type game that involves breaking all the rules in the school's code of conduct handbook. The object of the game is to find creative and very public ways to break the rules. Points are assigned for each win with the added goal of preserving the three "lives" granted at the beginning of the game. Leo is in charge of point values and judging when a "life" is lost. PRISCILLA THE GREAT is filled with enough action to satisfy even a hard-to-please middle grade reader. It's Fantastic Four type adventure but with a middle school twist. Priscilla isn't particularly popular. She is into video games and comic book heroes. Her best friend Kyle offers her some competition, but most of the time he is afraid she'll beat him to a pulp. She beats him in video games and basketball, but amazingly he keeps coming back for more. When Priscilla begins developing some strange abilities even her extremely intelligent friend Tai can't figure out what is going on. The first unusual characteristic Priscilla seems to be exhibiting is the ability to set things on fire. It is an overheated feeling that accelerates to the point that Priscilla's finger tips become like flame throwers. Next she notices a dramatic increase in her strength. These powers are accompanied by other strange feelings, and keeping them under control is a challenge. At the same time Priscilla is struggling to understand the odd changes in her body, her father is being his usual over-protective self and requiring her to check in multiple times a day and not allowing any sort of after school activities or social life. Not having a cell phone is bad enough, but not being allowed to join in on the traditional festivities of middle school life is taking its toll. Priscilla has taken a sudden interest in one particular boy. She would love nothing more than to have a woman to woman talk with her mother, but that's impossible. Her mother is always away on business. That woman's job is at the top of her priority list with her family way down on the bottom. There is just something weird about hardly seeing her mom and having her father eyeing her every move and monitoring her every breath. Imagine living in a house your entire life and never being allowed to set foot in basement. That's what Priscilla faces, and she vows to get to the bottom of all the strangeness. Ceejay has always been close to her older brother. It's always been them against the rest of the world, or at least the rest of their family. Unfortunately, when Bobby's mischievous ways lead to the point of a joyride in a stolen car, a choice must be made. Their parents chose the military over jail for their errant son. With the exception of leave time, it's been years since Ceejay and Bobby have been together. He is expected home soon, and Ceejay can't wait to pick up where they left off. Surely after returning from Iraq, Bobby will be ready to party and enjoy his time with now sixteen year old Ceejay. The summer starts with Ceejay's parents announcing that she will be working for her Uncle Jimmy. She'll be slapping paint on whatever project he assigns, but that's better than the job her little sister Lacy gets. Lacy will be living with their grandmother several hours away. She'll be taking care of the ungrateful woman while she undergoes chemotherapy. At least working for Uncle Jimmy, Ceejay will be at home and able to hang out with Bobby when he gets back. Ceejay is shocked when she sees someone that looks like Bobby cruising by with an old flame. It takes some investigation, but she learns that he has returned from Iraq early but hasn't seen fit to show up and greet his family. When Ceejay discovers where he is staying, she confronts him and discovers that something about him has changed. Bobby's first meeting with family is filled with tension, and a BBQ party planned in his honor turns to chaos when he announces that he was asked to leave the military and earned only a general discharge. Ceejay doesn't care about that. She is just frustrated that he is choosing to hang out and live with Captain Crazy, an old Vietnam protester who lives on a nearby, rundown farm. When a friend suggests that Bobby may suffer from post-traumatic stress disorder (PTSD), Ceejay is quick to defend her brother and deny the possibility, but as time passes, she realizes there might be some truth to the suggestion. All Dawnie wants to do is play baseball and bounce on her pogo stick. She doesn't want to wear dresses or fancy shoes, but her mother insists sometimes. Her life in a little green house with her mother and father and her little brother Goober is a happy one. It's near the end of the school year, and Dawnie gets some good news and some bad. She is thrilled to learn that she has the highest scores in the sixth grade. She is not so excited to hear that she is expected to give a speech at the Stepping Up ceremony that celebrates the sixth grade moving on to seventh grade and the middle school. A speech? Good grief! And her mother will no doubt expect her to wear a dress and fancy shoes. Another bit of end of the year news involves not only Dawnie but also several of her classmates. They are being asked to take a test. It isn't exactly clear why, but the reason is soon revealed. Those who score high enough will be considered in the new integration of the all-white high school in Hadley, Virginia. When desegregation is upheld by the Supreme Court in Brown v. Board of Education, some of the white citizens of Hadley are out to fight against having black children attend their school. Dawnie and her classmates all score well on the special test, but only Dawnie's parents sign the consent form for her to attend the all-white school in the fall. They see it as not only a right she deserves but also a chance for her to improve her future through education. Dawnie knows going to the white kids' school is going to be a big deal. There are things she is looking forward to and things that scare her to death. What she doesn't realize is that the teachers might not all accept her and that the whole thing might cost her father his job. It may change Dawnie's life and the lives of others forever, but it is not going to be easy. WITH THE MIGHT OF ANGELS will let present-day readers learn about one young girl nearly fifty years ago who was brave enough to stand up for the rights of all students to receive an equal education. Through her diary, readers will get to know this young tomboy and her dreams for the future. Texas is home to Noah Garrett. He's fifteen years old and used to living among the tall grass and the heat. When his parents suddenly dead of smallpox, he finds himself in the temporary care of the local minister. After arrangements are made, Noah boards a train and heads for the mountains of Colorado. Noah's uncle has offered to take the boy in, but Shelly James's home is not exactly what Noah expects. Officer James aka Uncle Shelly lives at Camp Hale, a military base high in the Rocky Mountains. Noah is about to begin living the life of a Phantom. He's never even heard of these skiing soldiers, but he's about to learn the hard way. Noah quickly regrets his little white lie leading his uncle and camp's commanding officer to believe he is already sixteen. That's the legal age allowing boys to enlist so it is assumed that Noah is agreeable to becoming a Phantom. His training begins. He has never seen a snow ski in his entire life. Now he is told to bundle up, strap the awkward boards on his feet, and hit the slopes. After one day of training, he drops into his bunk like a rock. Even though he is used to hard work on the farm, every part of him aches. When he overhears his uncle and the general talking, he realizes the torture has just begun. Despite being raised a pacifist, Noah soon becomes part of this group of soldiers. He learns to ski quickly and excels at climbing and rappelling as well. He also finds himself becoming attached to the gruff, unemotional man that is his uncle. For Noah, the all too real possibility of fighting Germans in Europe remains in the distant future. Carter Street has amnesia. He was found wandering on the street before he was taken to Harmony House. He's in the care of Dr. Paley who is trying to get to the bottom of why Carter doesn't remember who he is and why he doesn't seem to be able to even talk about it. While Carter is being poked and prodded and questioned, another special group of students is meeting in the "gifted" class at Meadowbrook Middle School. Their teacher is leading a discussion about the class's powers. It seems one student is able to move things with his mind, another can read minds, and yet another can inhabit the bodies of others. All the students in the class possess unique talents. The purpose of the class is to help these young people learn to control their powers and become more comfortable with them. Carter should be part of the "gifted" class, but the trauma of losing both his parents has caused his power to remain hidden. Dr. Paley plans to use hypnosis to encourage Carter to speak about the tragedy he witnessed. It is soon revealed that Carter's real name is Paul, and he has the power to shapeshift. To escape the same fate as his parents, he became a gerbil and was able to hide from his parents' killers. Now he must come to terms with their deaths and his own special power. It is also revealed that Dr. Paley may have the ability to release the students from the burden of their powers. Several of the young people are thrilled to hear that they could be free of the potentially dangerous talents, but they aren't considering the reasons why Dr. Paley might want them to be relieved of their gifts. He promises the procedure is simple and painless, but is it really? Is he just trying to help them or is he working for someone out to do them harm? About three years ago Mia and Adam went their separate ways - Mia off to Julliard and Adam off to live the life of a rock star. Adam is about to start a European tour with Shooting Star. Since heading off on his own, he has attempted to push aside the emotions he still feels for Mia. Doing so has created a whole new set of problems. Adam is becoming cut off from his fellow band members and the resulting pressure is becoming more than he can take. His days are filled with annoying interviews, meetings, and rehearsals that he only manages to get through with the help of prescription drugs and cigarettes. His equally famous girlfriend constantly berates him about living with a ghost from his past. In New York City for a brief interview before leaving for the tour, Adam has an angry outburst due to questions from a nosy interviewer. Knowing he won't be popular, he takes off avoiding his flight and, hopefully, the anger of his manager. His thoughts are filled with Mia, and when he stumbles across her name on the marquee for a Youth Concert series, he asks if any tickets remain. Fate intervenes and he finds himself sitting in the concert hall watching her perform. After the concert he plans to slink back to his hotel and attempt to make up for his earlier bad behavior by contacting his manager. On his way out of the concert hall, Adam is approached by an usher asking him to follow him to Mia's dressing room. What follows is a twenty-four hour period of emotional ups and downs as both Adam and Mia confront the demons surrounding their complicated relationship. Adam relives the terrible months of watching Mia struggle to recover from the accident that killed her parents and her little brother. He knows he is the reason why Mia left. He had prayed for her recovery and promised he would let her go if that was what she wanted. For three lonely years he has lived with the fact that that must have been her desire. Can Adam and Mia forgive each other and themselves before each must leave to fulfill separate responsibilities on opposite sides of the world? Author Gayle Forman takes readers back into the lives of Mia and Adam in her sequel to IF I STAY. With the focus more on Adam and his heartbreak both during and after Mia's family tragedy, Forman broadens the heartbreaking story in an emotional yet realistic direction. 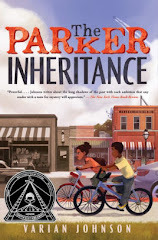 She explores the impact of death and separation as two people strive to overcome pain and connect with futures that satisfy them both.